Unusual barn shape on this farm in Highland County that I found on Wimner Road, outside of the town of Blue Grass. I also loved the steep slope of the hillside behind it. 16" x 20" oil on canvas, framed $375. A garden, barn and lots of sheds near the road north of Craigsville on Route 42. 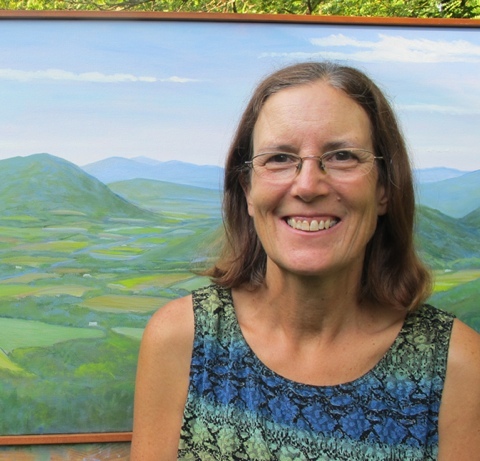 I painted this after I dropped off paintings to the Bath County Art Show two weekends ago. Next time I will paint the house with more sheds and building around it. I love trying to figure out the order of which they where build and for what purpose. 12" x 36" oil on canvas, framed $475. 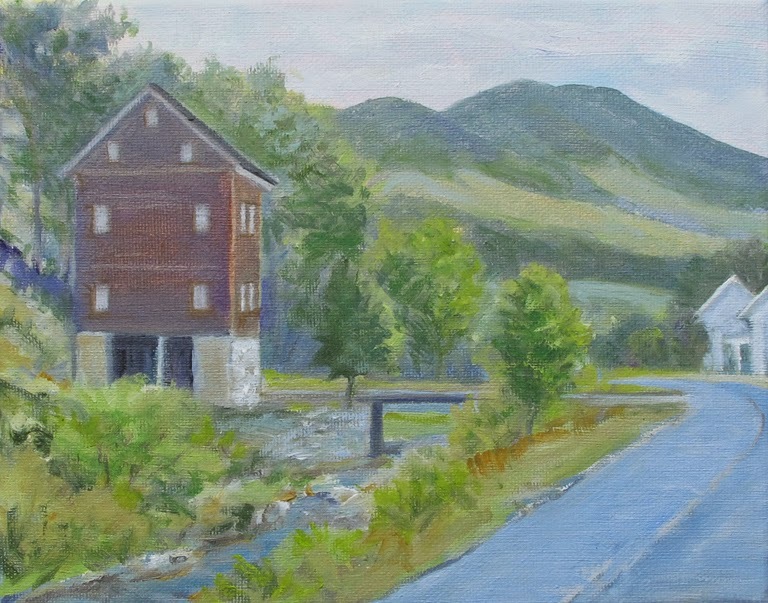 If you know Blue Grass Valley in Highland County, you will know this mill that is being renovated this year and will be fabulous once it is complete. 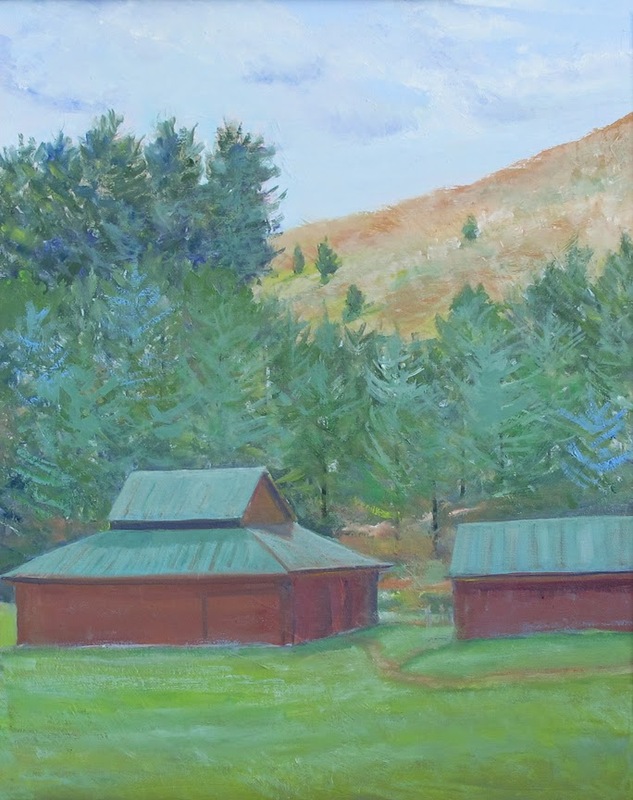 We were staying in a cottage very near by at Eagle Annie's http://www.eagleanniescottage.com/ This painting sold at the little opening the Sunday after the Paint Out. 8" x 10" oil on canvas, framed SOLD Thanks Mike and Lucy! Painted this the last day, Sunday morning, of the Paint Out in Highland a few weeks ago. 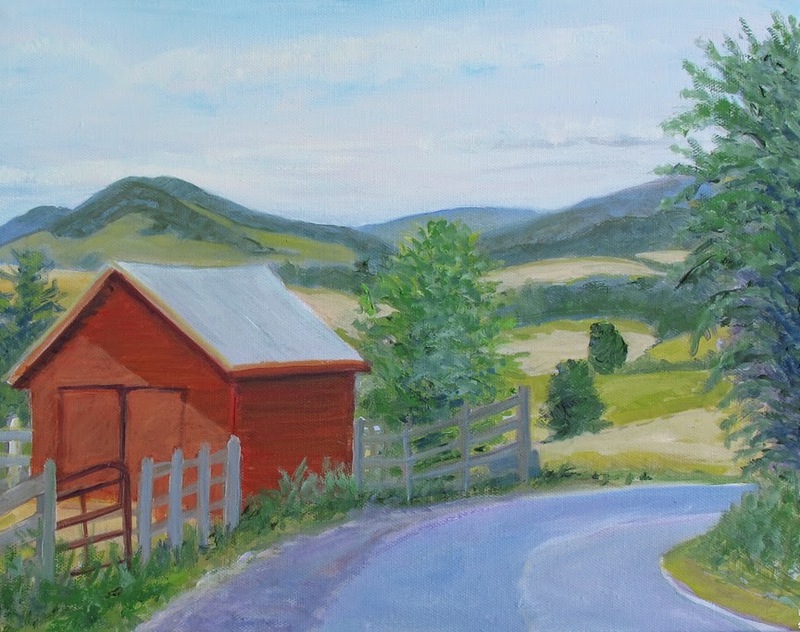 I sold it last weekend up at Wintergreen over the 4th of July but wanted to share it on my blog! 11" x 14" oil on canvas, SOLD thanks Cara! I am standing on my property line looking behind my house to the neighbor's field . . . not bad, huh? I had to paint this before they moved the bales and was in the shade the whole time, lucky me! 24" x 48" oil on canvas, framed $1,225. 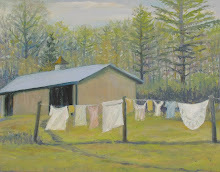 Painted this at the Highland County Paint Out this past weekend with a dozen painters. 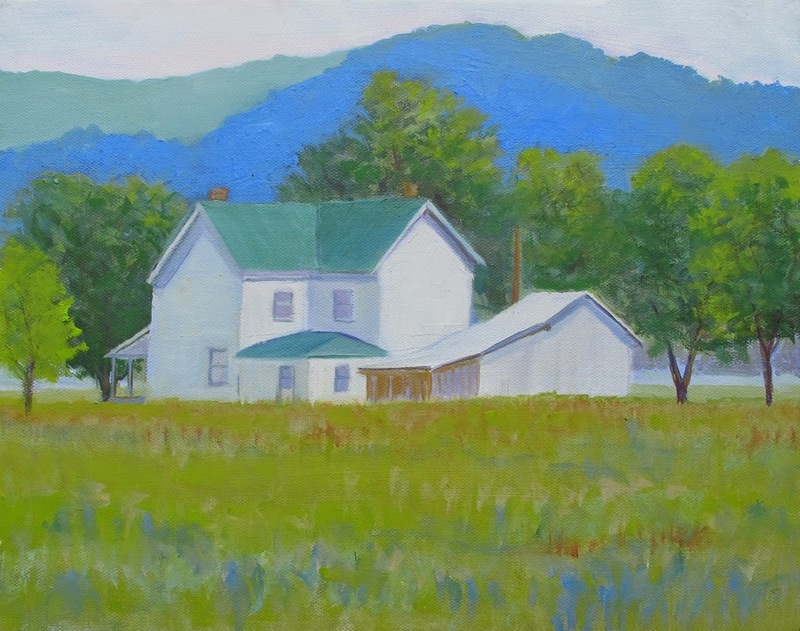 This was a farm house on Ginseng Mountain Lane in Blue Grass, 11" x 14" oil on canvas, framed $250.